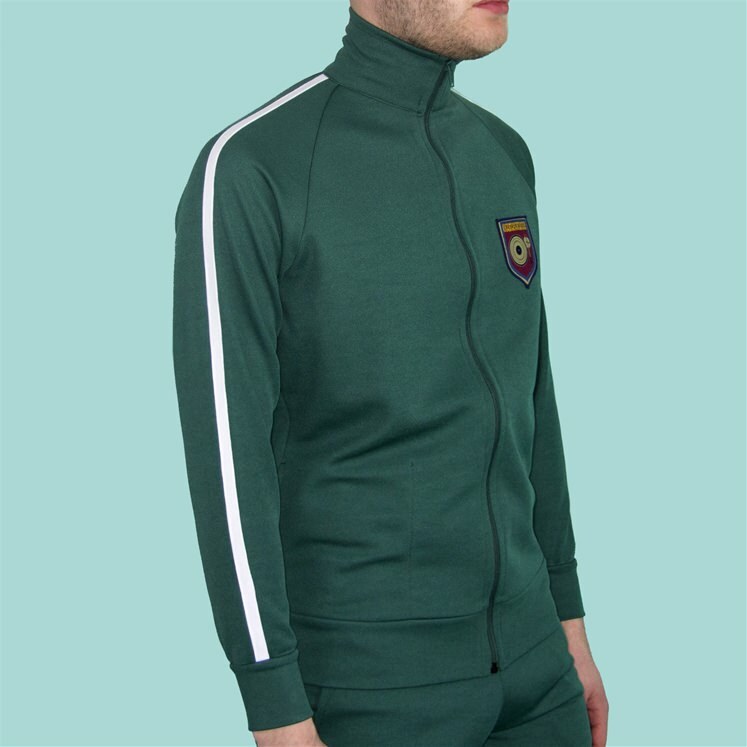 Bottle green tracksuit top from Gresham Blake, designed to be worn either with the matching tracksuit bottoms or as a casual separate. 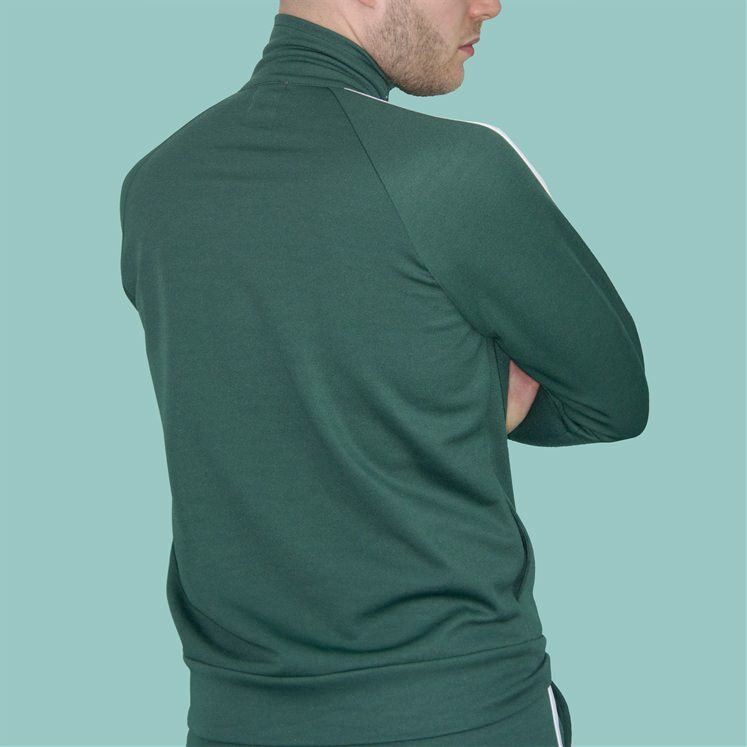 A relaxed fit with a single white stripe on the sides. Limited edition and made in the UK. 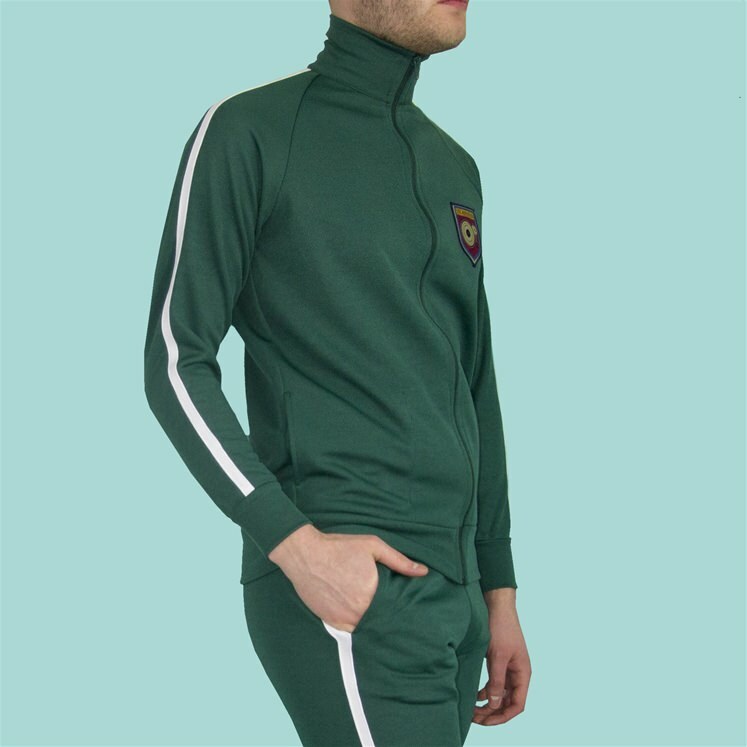 100% polyester. Hand wash at 40 degrees.